You can apply a due date for when you want a status to be completed for an Item, for example if you want the Draft status to be completed by 5pm tomorrow. If the Item's status hasn't been moved onto the next status before the due date passes, the Item will become overdue. 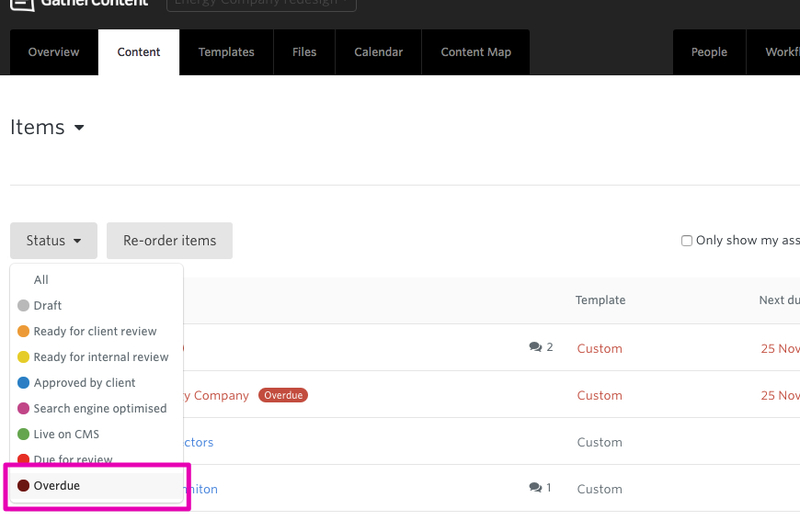 You can apply a due date to each status in your workflow from the Status drop down in the top left of your Item, or in bulk from the Content tab. 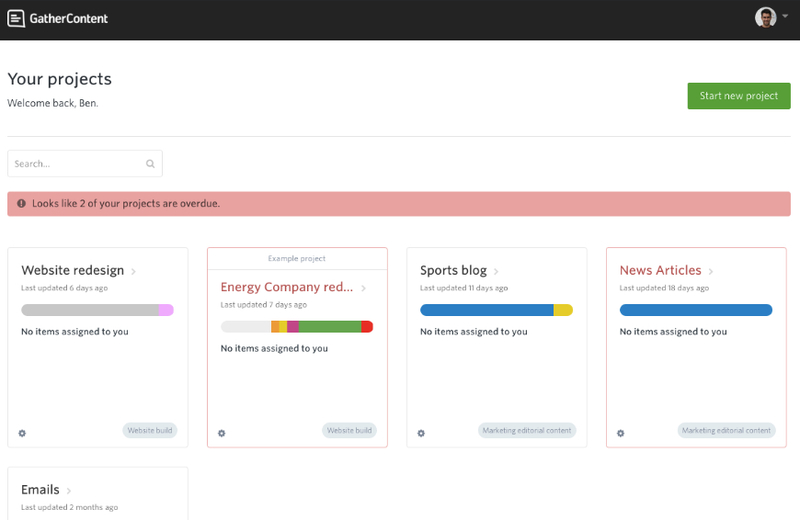 When a project contains an Item which is overdue, you'll be able to see this from your Account Dashboard. The project that contains an overdue Item will have a red outline, and the name of the project will be red. 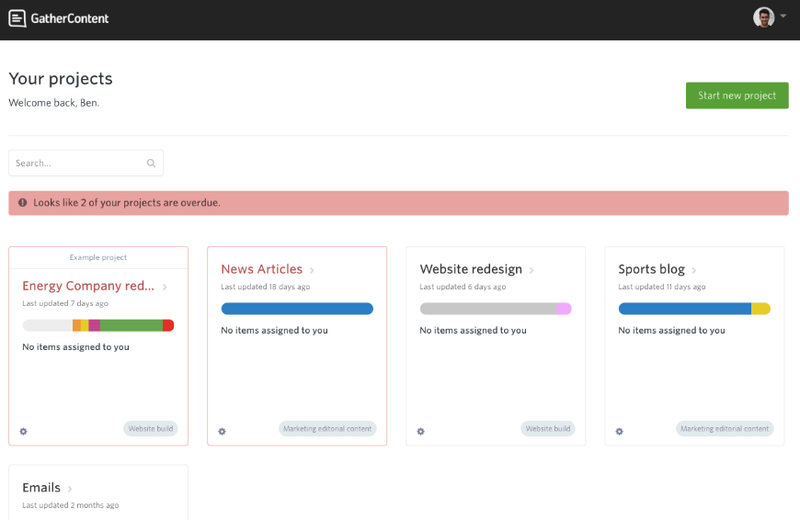 You'll also see a notification in your Account Dashboard informing you of how many of your projects are overdue. You can click on this notification bar to bring all overdue projects to the top of the list, which will help you know which projects you and your team need to work on next. Once you've opened a project with overdue Items, you can head to the Content tab to filter Items so you only see the Items which are overdue.